No matter which of these camps you fall into, there's no questioning the fact that the series as a literary concept is here to stay. If you're wondering whether to make the commitment to writing a series, we've got you covered here with everything you need to know. After helping you work out whether a series is right for your story, this Ultimate Guide will help you through every step. You'll learn how to plan and execute your series to its full potential, along with how to create plot lines, characters and themes that will make for a compelling multi-volume story. There's a lot to cover here, so let's get started! First things first: before you do anything else, you need to decide if a series is the right choice for the story you want to tell. There's no point setting out to write a series just for the sake of it; it needs to be the right vessel to deliver your particular tale. If you're writing in one of these genres, it might be worth seeing whether your story can be fleshed out into a series. A lot of publishers are wary of accepting standalone fantasy novels, for example, as fantasy readers are generally used to the series format. A fantasy series tends to sell much better than a single fantasy novel. If you're writing in another genre, such as literary or commercial fiction, a standalone novel is probably your best bet. There are a few exceptions to this rule, of course: literary series such as Cormac McCarthy's Border Trilogy or Elena Ferrante's Neapolitan Novels, and successful commercial fiction such as Helen Fielding's Bridget Jones series. It's important to note, however, that these kinds of series (literary especially) don't generally follow the typical conventions of a series. Ferrante and Fielding's series tell the continuing story of their central characters, which is conventional enough, but series like The Border Trilogy are different. McCarthy's trilogy is classified as a series because of recurring characters and settings, as well as strong thematic links. But each novel reads more like a standalone piece, and the three do not necessarily need to be read in order. To cut a long story (or series) short: if you're writing in a genre other than those listed above, you must have some very compelling characters or another very good reason for deciding to write an entire series. We'll delve into this further below. For now, ask yourself these questions from the outset to see if your plot is suited to a series. Does my plot follow a single narrative arc, or does it contain many separate threads that can be woven together? Does the timeline of my plot span a short or lengthy period? Is there potential for extensive character development, world-building and subplots within my main plot? Once you've answered these, you'll have a better understanding of what kind of plot you have and whether it will work within a series. Alongside solid plot development, a series must focus on constant character development in order for it to hold any hope of sustaining itself. Your characters must undergo significant changes throughout the story. They should not be the same people at the series' conclusion as they were at its commencement. Can you see how they will undergo a compelling journey, both physical and emotional? Do they have enough potential for development that can be sustained across multiple books? If not, you must either reconsider the characters and their arcs or consider the possibility of a standalone novel. Before you launch into a series – whether it be a duology, a trilogy or a sprawling ten-part epic – you need to seriously consider your commitment to the task. Once you start, you'll have a certain sense of obligation (both to yourself and to your readers) to finish the job. Is this something you're mentally, physically and financially prepared for? How badly you want to achieve the goal of creating a series. If writing is your passion and your dream, if the story within you is bursting forth and begging to be told, and if writing a series is a goal you're willing to work hard to achieve – then it sounds like you're committed and ready to give it a try. If, however, you're thinking of writing a series on a whim, just to see how it goes or to try to make a quick buck... Well, it's probably safe to say that you won't be able to demonstrate the proper level of commitment to such a mammoth task. Rather than wasting your time starting a series only to give up halfway through, you're better equipped to explore other options, such as standalone novels or short stories. So you've answered all the above questions and come to a decision: writing a series is the right choice for you. But where to from here? As excited as you may be to jump right in and start writing, unfortunately, that's not the best way to go about things. If you're going to write a successful series, there's a bit of preparation that needs to be done first. Everybody has a different writing process; some people are plotters, some people are 'pantsers', and the rest are somewhere in between. You should work the way that suits you best. This might mean you choose not to undertake every aspect of the planning process we're about to outline. But keep in mind that well-thought out plots, settings, characters and overarching structure are the things that can make or break a series, so do at least keep the following points in mind. They'll come in handy for revision, if not for planning. Let's get things started with the first step in the process: plotting. The first thing you want to do is solidify the ideas you have for your series' plot. Write down a brief outline of all the key events you have in mind so far, forming a rough chronology. Don't worry too much about structure or order just yet; we'll get to those below. For now, just concentrate on mapping out the main events of the story. The ending, which should tie up the majority of your story's threads. Don't worry if you don't know exactly how things will end at this stage; some writers like to let the story guide them rather than knowing everything from the outset. However, you must have at least a rough idea of the direction in which the story is heading. Otherwise, your writing process – and the story itself – is likely to be rather aimless and ineffective. Does it raise enough questions? And, more importantly, does it answer them all? If not, why? Will readers be disappointed or will they understand the purpose behind any open-ended aspects? Is the plot driven by characters' actions? Can you spot any potential instances of deus ex machina? These questions will help you identify any major issues with your plot outline so far. This will allow you to head them off early and save yourself the hassle of revising or rewriting later. You've now mapped out the plot of your entire story as best you can. Now it's time to think about the structure of that story, and how it will inform the structure of your series. To wrap your mind around the overarching structure, ask yourself the following questions. For genres like fantasy and sci-fi, it's important to know how many books you're planning to write for the series before you start. Keep in mind that each volume of a series should stand on its own as a valid novel in itself. Take a look at your entire story and break it down into sections. You'll find there are natural places to break off and resume the story – natural turning points. If you look hard enough, you should find self-contained narratives within the larger plot. These will form the individual books. It's helpful to have some sense of symmetry or balance within the series. For example, the Harry Potter series can be seen as books one through three, followed by book four as a turning point (Voldemort's return), rounded out by the final three books leading to the ultimate climax of the story. Tolkien's LOTR trilogy, on the other hand, is a prime example of the rising and falling action structure: in Fellowship, the journey begins; in Two Towers, it meets complications and continues; and in Return of the King it reaches a climax and slowly winds down to the ending. Structural considerations in crime/mystery novels and contemporary fiction series are vastly different. There may be a less concrete answer to the question of how many books to write. Rather than feeding into a vast overarching narrative, these types of series tends to be more episodical in nature. Each volume recounts a story that's not necessarily related chronologically to its companion volumes. Conan Doyle's Sherlock Holmes novels, for example, can be read in any order. Each Holmes story deals with an individual mystery, and while there are threads that connect all the volumes, the structure isn't as rigid as that of a speculative fiction series. However, this doesn't mean that structure isn't an important consideration for genres that don't follow traditional 'series' conventions. If structure didn't play a part, you wouldn't really be writing a series, after all – just a collection of vaguely related novels! It's important to focus on your characters as the connecting threads between books in a crime, mystery or contemporary fiction series. As we discussed above, your protagonist especially must grow and change throughout the series. Use key points in their personal journey and development to decide how your series will be structured. There's one key thing to remember here: your series as a whole must have a climax point, but each individual book must also have its own climax as well. Take a look at your rough plan for each book and ensure that there is indeed a climax point in every one. If there isn't, the book doesn't really qualify as a self-contained narrative. At this point you may need to rework the structure or plot so that a climax or turning point can be included. A series is united as much by its themes as it is by the events of the story. A series will usually have recurring themes that span the entirety of the story, but it may also have themes that are explored or emphasised individually in each volume. Overall, a series' themes must weave together to create a broad, relatively complex tapestry. In addition to plot and characters, a series' themes play a key part in ensuring readers stick with you through multiple books. The exploration of universal human themes helps readers relate to the story you're telling, which is important if you want them to come back for each volume of your series. Themes can also encourage readers to think about aspects of the world they hadn't previously considered, especially if they're sustained over an entire series. Give your readers some credit; don't try to spell everything out for them, and don't make recurring themes too repetitive. Allow your story's themes to emerge and develop as a natural subtext through your plot and characters. BONUS TIP: Don't force the issue of theme too much while planning! Often, you might not realise what your themes really are until you're well into the writing process. This is completely normal; a lot of concepts tend to come up naturally as you write the story. Once you've finished writing and are reading back over your work, your themes will be much clearer. You can then work to develop and bring them out as you see fit. Your characters are just as important (if not more important) than your plot. The main reason readers will keep reading a story is because they've invested in the characters. Of course an engaging storyline is vital, however readers must also care about what happens to your characters. If they don't, they're much less likely to keep reading. Consider George R. R. Martin's A Song of Ice and Fire, for example. This sprawling series began almost 20 years ago, and readers are still eagerly awaiting its next instalment. Why? Because they're deeply invested in the political developments of Westeros? No – it's because they're invested in the people behind those politics. Given Martin's rather slow writing progress, all his readers would have dropped off the radar long ago if they didn't care what happened to the characters. Not all of this information will be included in the actual story, but it's vital for you as the author to know your characters inside out so you can write them effectively and realistically. Next, it's time to consider each character's arc – the transformation or journey they will undertake throughout the series. As discussed above, character development is vital to any series; static characters just don't cut it over multiple books. At the end of the story, most of your characters (especially your protagonist) should not be the same people they were the start. What does each character want? What are their desires, goals and motivations? What changes and developments will each character undergo throughout the course of the series? Will their desires change? Will their mindset and worldview be different by the end of the story? What will happen to put this change in motion? What are the key events or turning points in each character's arc? Is there any information you can withhold about a character, in order to reveal it with impact later in the story? How will the relationships between various characters change and develop throughout the story? Once you've answered these questions, you'll begin to see patterns of transformation forming. These will go hand-in-hand with your plot to form the foundation on which your series is based. 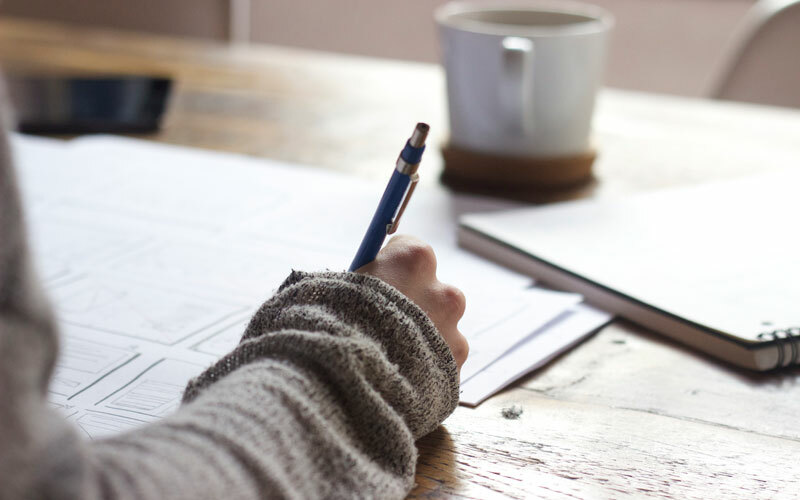 Consistency is something you'll mainly be checking during the revision process, but it doesn't hurt to keep it in mind while you're writing as well. It could save you some valuable time and effort at the end of the process. BONUS TIP: Be sure to consider how and when you will add new characters to keep things interesting. While it's wise to concentrate on getting readers invested in the main characters you introduce from the outset, you can't expect them to stay engaged through multiple books that only involve the same band of characters. Perhaps consider holding off on introducing one or two key players until later in the series, rather than all at once at the beginning. Setting is of vital importance in a series, no matter what the genre. If readers are to stay with you for multiple books, you must create a setting rich enough to immerse them and complex enough to sustain their interest. They must want to return to the world you've created, whether it be completely imagined (as in fantasy or science fiction) or realistic (as in a crime or mystery series). Whichever kind of series you're writing, you should start this part of the planning process by writing down everything you already know about your setting. Note down any aspects you want to include, big or small, and keep the list handy throughout your writing and revision processes. To break things down a little, let's take a look at how setting is used in two of the most common series-based genres: speculative fiction and crime/mystery. The process of creating a setting in speculative fiction is often referred to as world-building. This is because in fantasy and science fiction novels, writers are creating whole worlds from the ground up. Setting is more important than ever. Your setting's magical, futuristic, dystopian or technological elements are what sets your book apart – both from other genres and other novels. Perhaps create a document for each of these elements and use it to collate your notes before you start writing in earnest. Get to know your world as much as possible so that when you do begin the writing process, you can immerse yourself entirely in the story rather than trying to figure out minute setting details. Setting is just as important in a crime and mystery series as it is in speculative fiction. In this genre, however, the primary function of the setting is to help create the mood of the series as a whole. It's all about atmosphere; about a sense of place; about creating a setting so vivid and detailed that it could almost be considered a character itself. A sense of place is important in most novels, but in modern crime fiction, I believe, it's practically an imperative. It's something hinted at in the smog-soaked London of Holmes's cases, and in the country houses of Allingham and Christie." To plan the setting of your crime or mystery series, think about the sort of atmosphere you want to create. For example, if you're writing a bleak, gritty detective drama, you should aim to let those feelings (bleakness, grittiness) infuse your setting. You can achieve this through descriptions of things like the weather and the environment in which your characters find themselves. Familiarise yourself with your story's sense of place as much as possible before you start writing in earnest. Immersing yourself in the world of your story will help give your series a consistent, authentic feel. You've finally made it to the final step in the process – and it's the most enjoyable step of all! After all your hard work and careful planning, it's time to jump into the actual writing of your series. Let's finish off this guide with a few general hints, tips and tricks. Keep a digital or physical folder full of all your notes and ideas about the series. This will be your Bible, to which you'll undoubtedly need to make constant reference during the lengthy writing process. Never edit as you go, and never backtrack to include new details you've thought of unless it's absolutely vital to do so. Instead, make notes of any problems, ideas or missing parts that occur to you and amend them when you've finished your draft and are conducting a complete edit. If you're finding yourself stuck at a particular part of your series, try to move on so as not to disrupt the flow of your writing. Remember that you don't necessarily have to write in chronological order; you can write scenes as they appear in your mind, and fit them all together in the proper order later. Try to avoid the clichés of your genre. In fantasy, for example, the 'chosen one' character arc is a little overdone; likewise, the tough, virtually invincible action hero is a tired trope of the crime/thriller genre. Try to turn these kinds of clichés on their head and subvert reader expectations with original plot, theme and character elements. While committing to a series is a big step, and can be overwhelming at times, it's important to remember why you decided to do it in the first place. You chose to write a series because you have a story you want to tell, and because you have a passion for writing. Let that story and that passion bolster you throughout the process, and you'll be on the right track. Thank you so much for your article! Now I know how to write my series! Namaste. I have to say this was one of the most organized and not so bogged down tips for series creating. I’ve pretty much broken all the rules, probably why I haven’t successfully published a series yet. Thanks for the advice! Also, I have been mindlessly working on a specific series for some time now. There is a lot of information I have about it, and I’ve even started bits and pieces of the actual writing. I know I should take a step back from the writing and work on the planning, but I’m generally a pantser (but I’m also a ghostwriter and pantsing for books for my clients always works, but how come it doesn’t for my own personal writing?) Anyways, my questions for a started series that needs some work…how would you recommend developing something already in the making? I’ve already scrapped some stuff and added some stuff, but I find myself overwhelmed wanting this to be that “It” series. The one many authors spend their whole career writing in. I know there’s enough plot, enough story that can span several books. And I know I love my main character enough that I won’t get bored with his story. I even know I love at least 2 of my other main caste characters too. As for your question on developing your series: totally understand the plotter/pantser dilemma, and the trouble you’re having with deciding how to move forward. Personally, even though you’re more of a pantser, I’d recommend taking that step back, compiling all the bits and pieces you have so far, and at least working out the overall arc and main plot points you’d like to hit throughout the series, before getting stuck into the writing properly. Obviously your plans may and probably will change throughout the writing process, but I think having that backbone in place to start with can give you a great starting point and some future points to work towards, which can help you get stuck in. And if your characters want to take you in a different direction after that, let them do so and see where you end up!